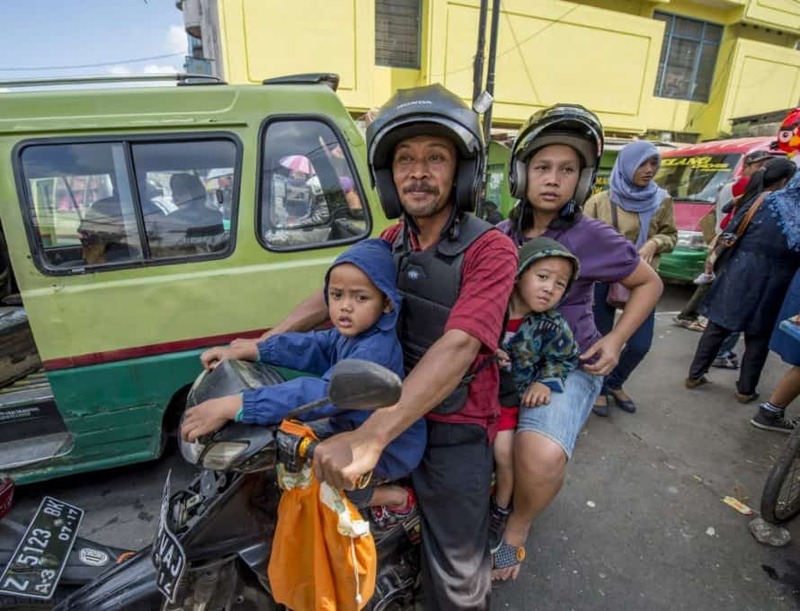 INDONESIA – A family of four navigates a busy roadway in one of Indonesia’s megacities. The country of more than 250 million people has the fourth largest population in the world and the largest economy in Southeast Asia. IMB photo. INDONESIA (BP) – It wasn’t tropical tourism that first brought Rosemary Brackey* to Indonesia more than a decade ago. It was her desire to offer healing hands to the country after the 2004 Indian Ocean tsunami killed an estimated 170,000 Indonesians alone. At the time, Rosemary was a telemetry nurse, monitoring patients’ vital signs for Liberty Hospital in a Kansas City suburb. She and her husband Howard* had felt called to global missions but were waiting for the Lord’s timing. 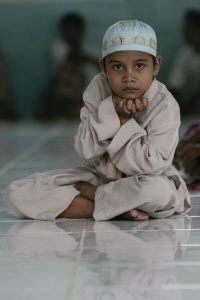 Nearly 88 percent of the population, an estimated 205 million people, profess Islam in Indonesia, making it the most populous Muslim country in the world. Even though the majority claims adherence to Islam, groups in the islands have a multitude of non-Islamic practices — most incorporating animism and ancestor worship. Rosemary doesn’t live in Kansas City anymore. Once in her seat for the volunteer team flight to Indonesia, she pulled out the flight magazine, looked at the map in the back pages and suddenly realized just how far this trip would take her. It wasn’t just distance, though. It was also the place she and Howard were in their lives. By her third day there, she was deeply touched by the people she was working among. EDITOR’S NOTE: Indonesia is the current country of focus for Woman’s Missionary Union’s International Mission Study. International Mission Board workers featured in this study are supported through the Cooperative Program and Lottie Moon Christmas Offering: imb.org/give. Find IMS study resources at imb.org/ims and wmu.com/IMS. * denotes name changed.